Acquire the skills to unlock the teachings of the Talmud. Why do Jews argue?...Why not? Our great grandfathers retired from business early so they could study Talmud. 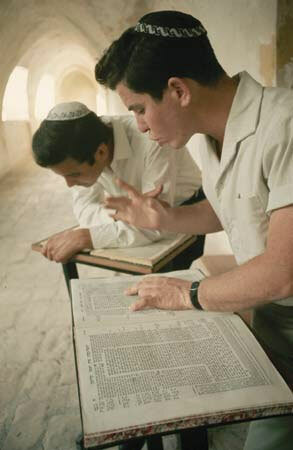 Learning Talmud is to participate personally in the great debates and rituals of Judaism. Talmud study puts you in the center of legal reasoning, critical analysis and argument that has strengthened Jewish belief for over 3,000 years. Your guides for this experience are Rabbi Becker's enthusiasm and Rashi's timeless commentaries. Where else can you become a Yeshiva student without leaving Tucson? This study will move your mind and your heart. "I feel that I have learned more from this class than any I have ever taken. This class is incredible. You leave each week feeling totally energized."